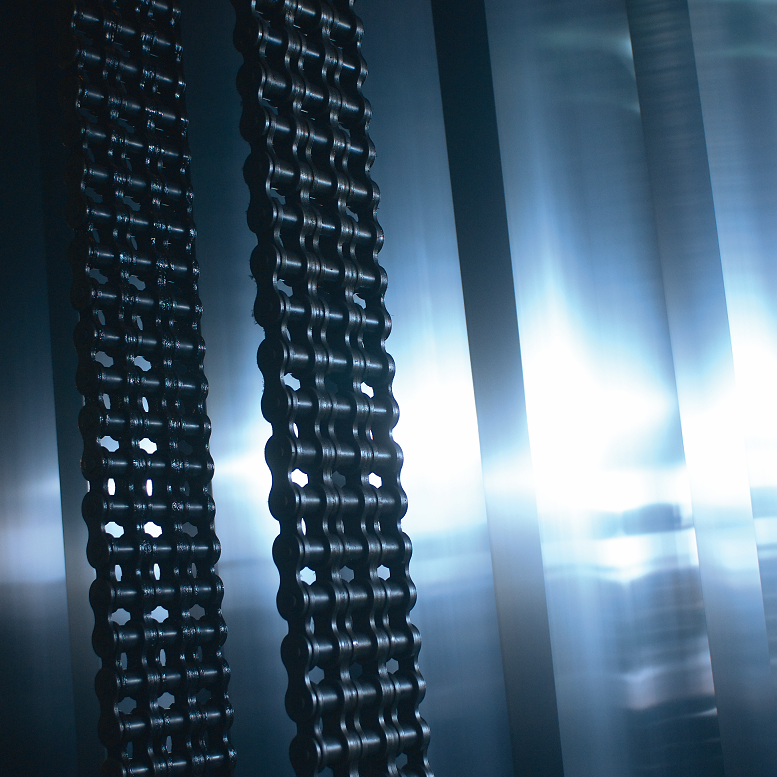 Leading chain maker, Tsubakimoto, has helped a steel mill in the Netherlands improve the long term operational productivity of its annealing line by replacing lifting chains that failed frequently with ones that have proven to have a working life of 10-15 years or even longer. As part of the mill's role of coating sheet steel, a key process is annealing: a heat treatment designed to improve the workability of the metal by heating then cooling the metal to increase ductility and reducing hardness. This is performed as a continuous process, so the individual sheets of steel must be welded together end-to-end to form an endless strip. Production volumes are such that the welding must be performed automatically. To ensure a steady flow of steel through the annealing line, a looper tower has been installed both ahead and behind of this. These act as accumulators to store a quantity of steel and feed it onto the processing line at a steady rate. At its heart are four hard working chains that raise and lower platforms to accumulate or dispense steel as required. For the annealing process to be effective, the surface of the steel must be clean, so it is important that it does not pick up oil or grease from the drive chains. Thus there is a need for precise lubrication; neither so much that excess can transfer onto the steel nor so little that the chain becomes dry and fails prematurely. In reality the mill operators found access to the chain for maintenance difficult due to the height of the tower. As a result, maintenance schedules tended to become fitful and reactive, which led to the original chains suffering from issues of 'kinking' due to poor lubrication penetration. This was followed by failed links due to wear and/or overload. Inspection of the chain after it had been in use for some time indicated that it also suffered from uneven wear rates, which caused further overload on the remaining chains. Eventually the mill called in Tsubaki, to see if its engineering expertise and advanced chain products could improve the situation.